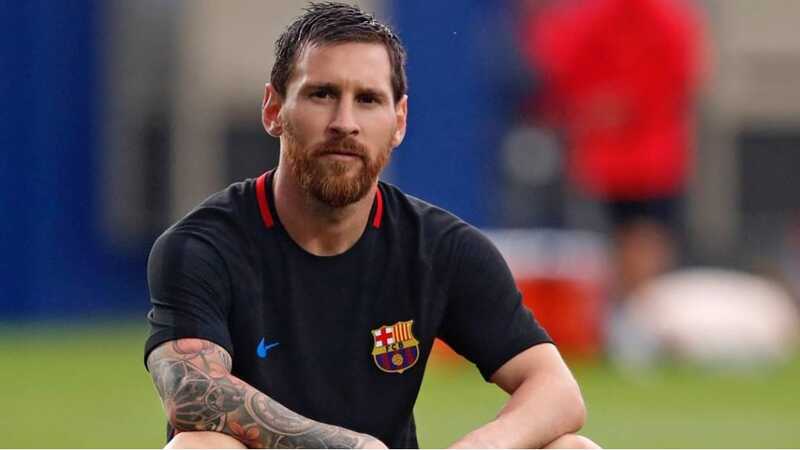 With the World Cup about to commence the final game, we take a look at why tattoos are so popular among the teams. 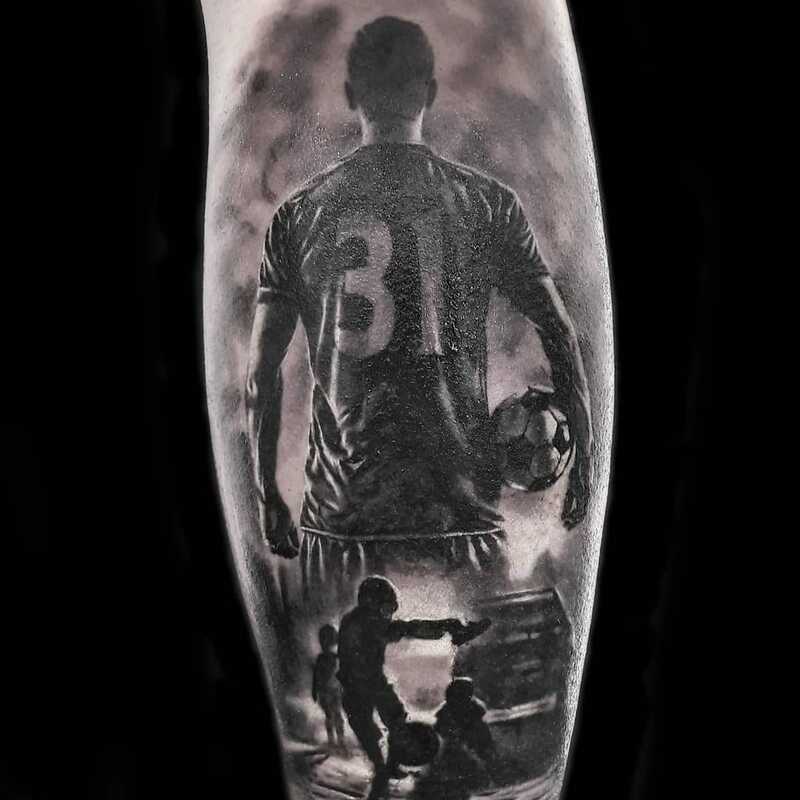 While arguing that tattoo ink poisons the blood, a German doctor calls for elite soccer teams to ban their players from getting tattooed. 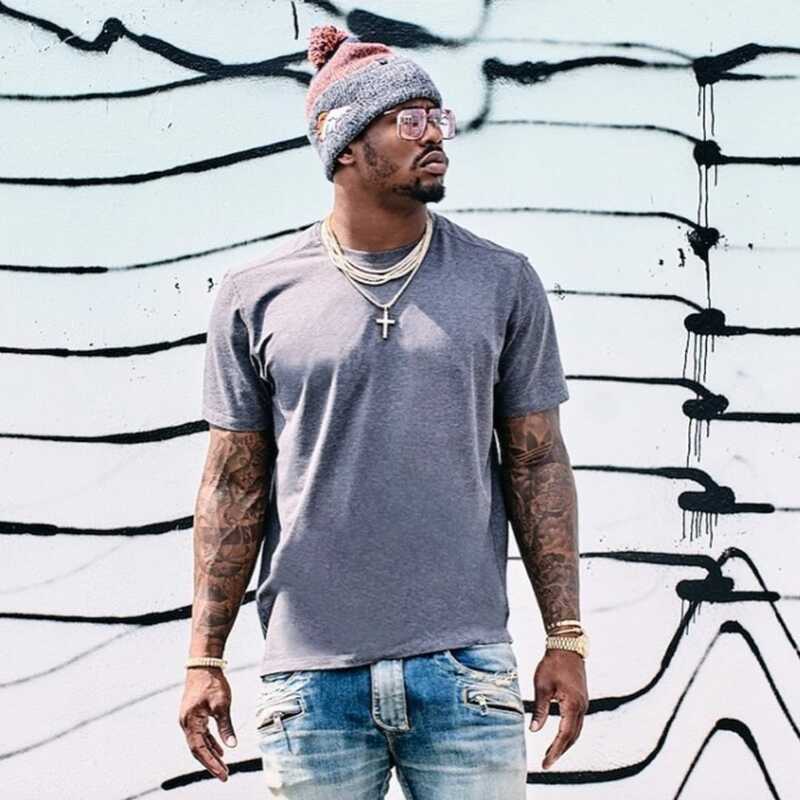 Von Miller of the Denver Broncos recently got tattooed on a private jet. So allow us to climb on our soapbox and rant about this idiocy. Are Tiger Woods Tattoos a Thing? We're Too Wasted to Remember. 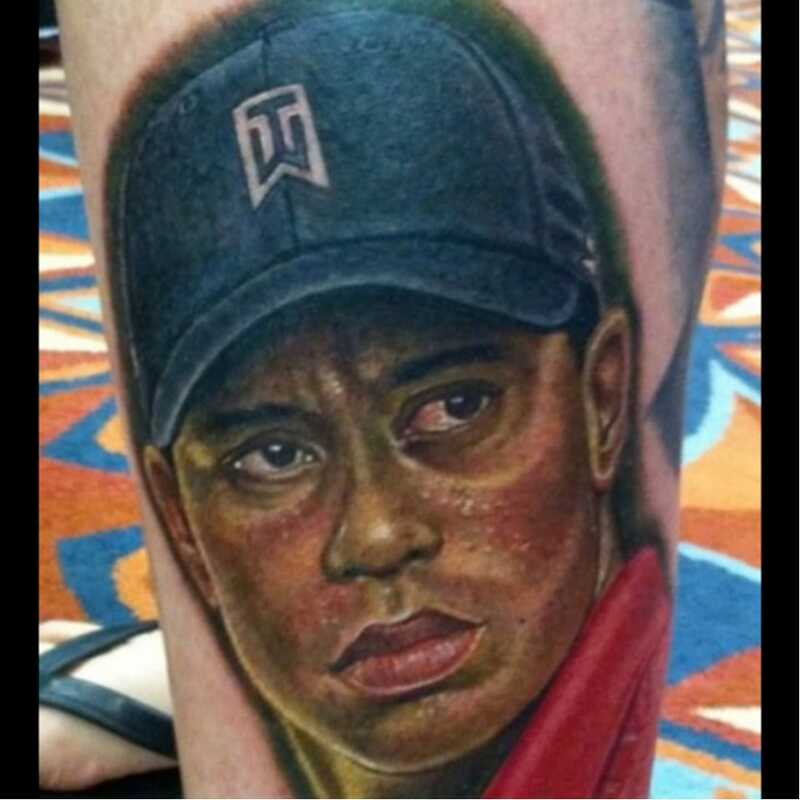 Get ripshit wasted and get a tattoo to honor your love of golf, or infidelity, or tigers, or the woods. Whatever. Just don't drive. Before you throw down all your cash on tickets to the NBA Finals, remember your team is a soulless corporation that cares nothing about you. Portrait tattoos are cool. 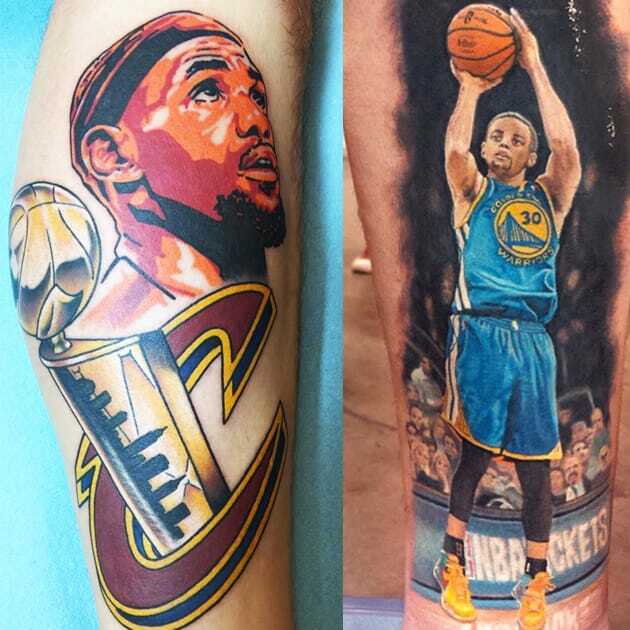 Tattoos of memorable sports moments are cool. 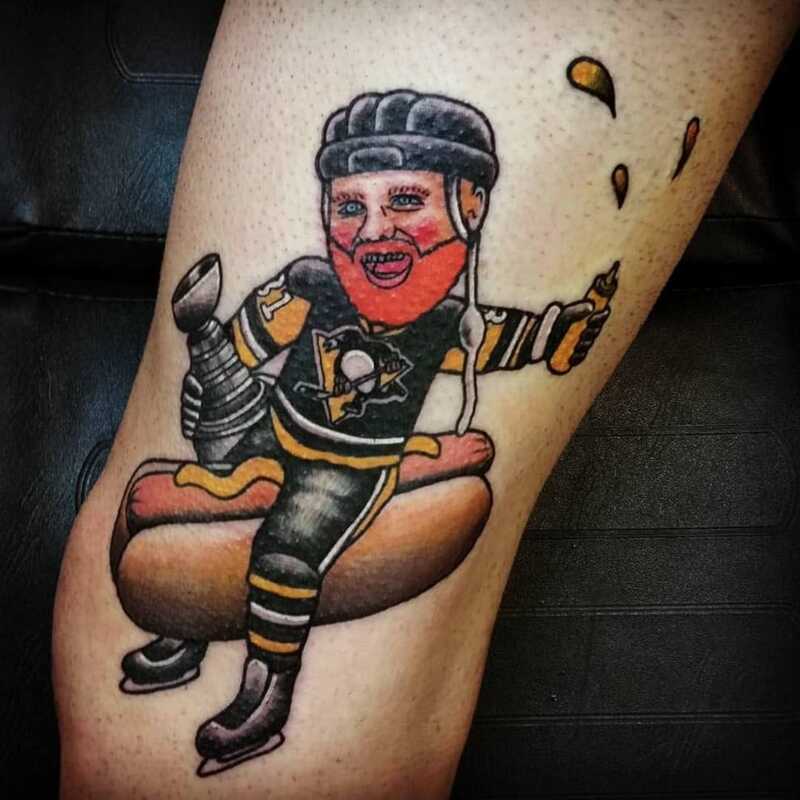 Getting a tattoo of yourself scoring a goal in a loss? Not cool. 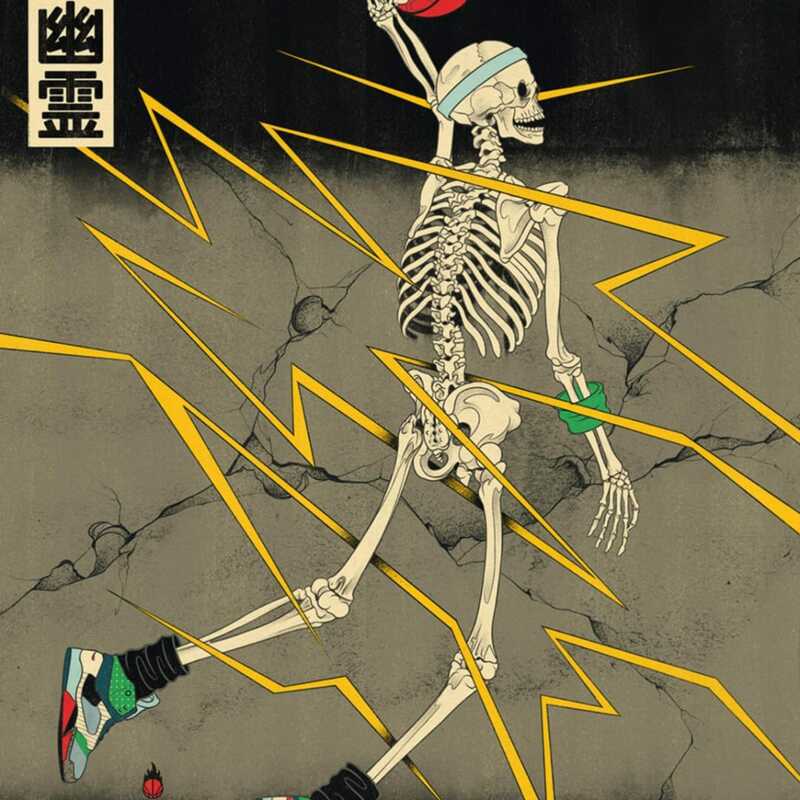 Andrew Archer takes Japanese tattoos to the paint, making basketball themed depictions of the very same figures seen in ukiyo-e.
A Pittsburgh Penguins fan paid tribute to one of his team's stars in the strangest way possible. Black and Grey realism master Chris Showstoppr tattooed a mystical trio of skeleton samurais on the UFC heavyweight. 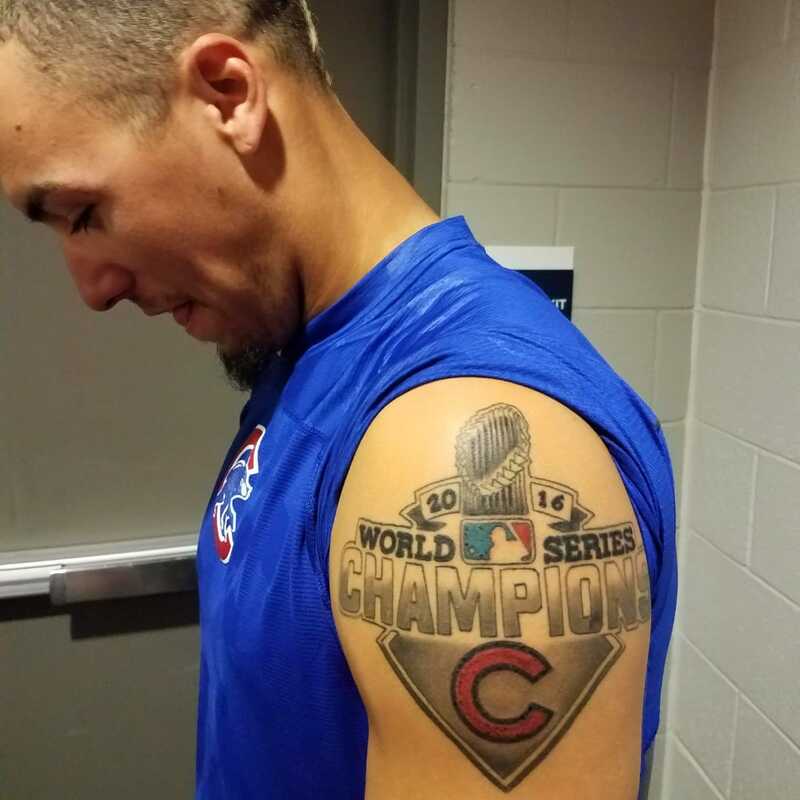 Javier Baez came to camp with a tattoo that was 108 years in the making. 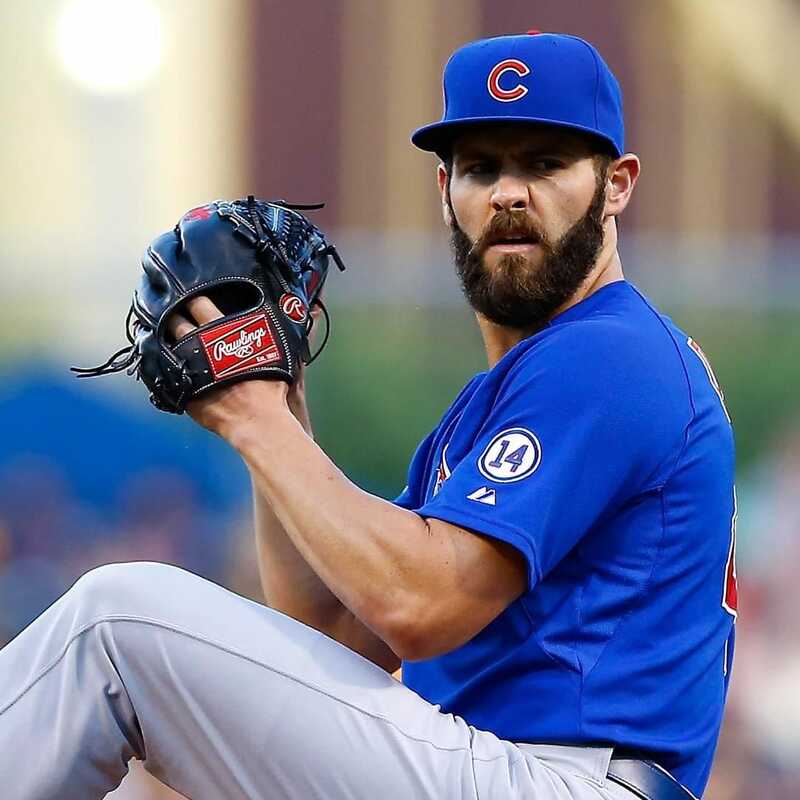 You can't wear a World Series Champs ring on the field, after all. 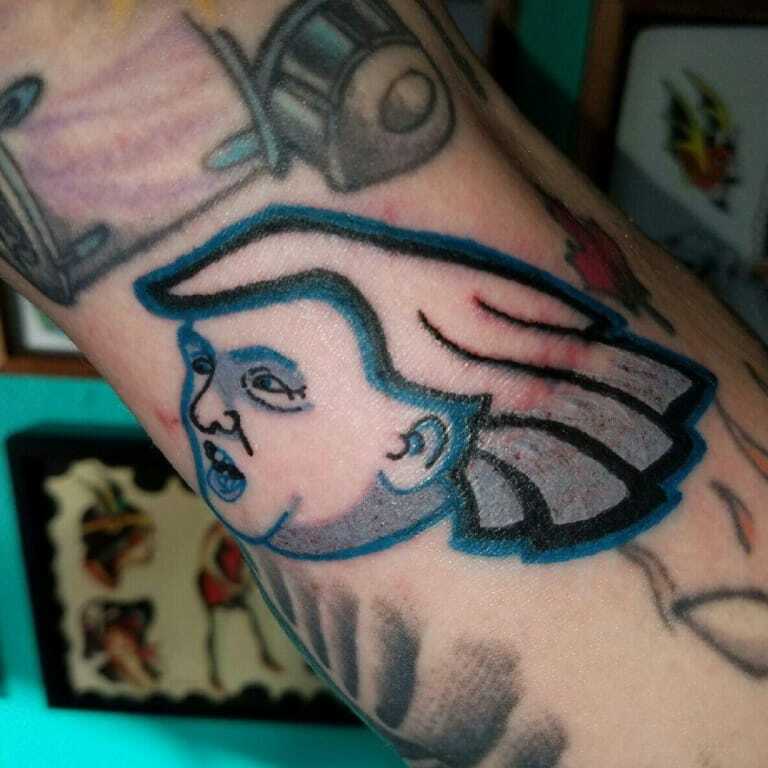 For reasons unbeknownst to many, someone combined their love of the Philadelphia Eagles and Donald Trump into a really weird tattoo. 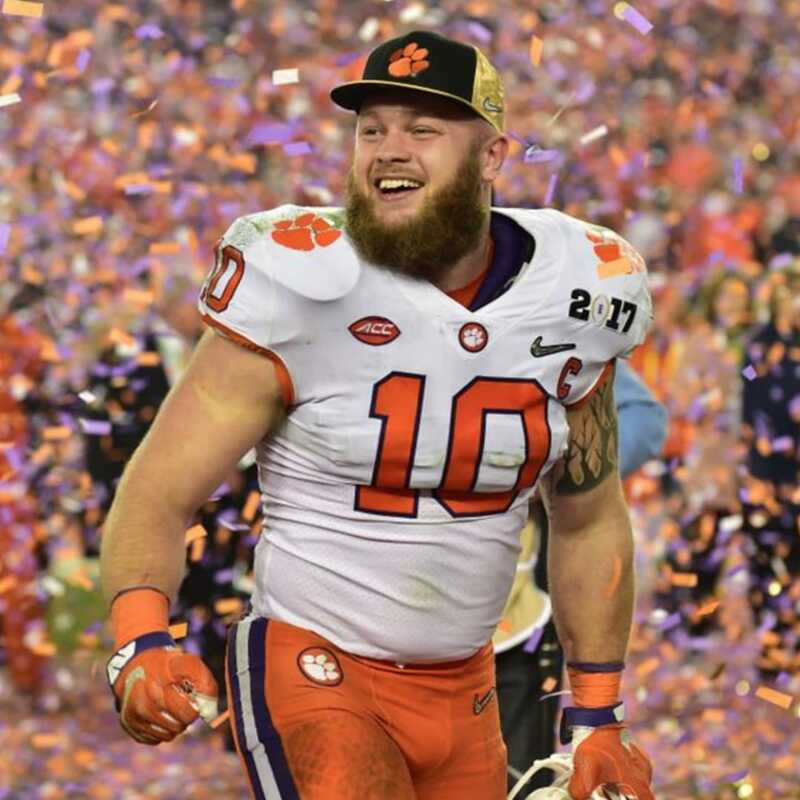 The linebacker took a shot at those who doubted him with this perfect celebration. 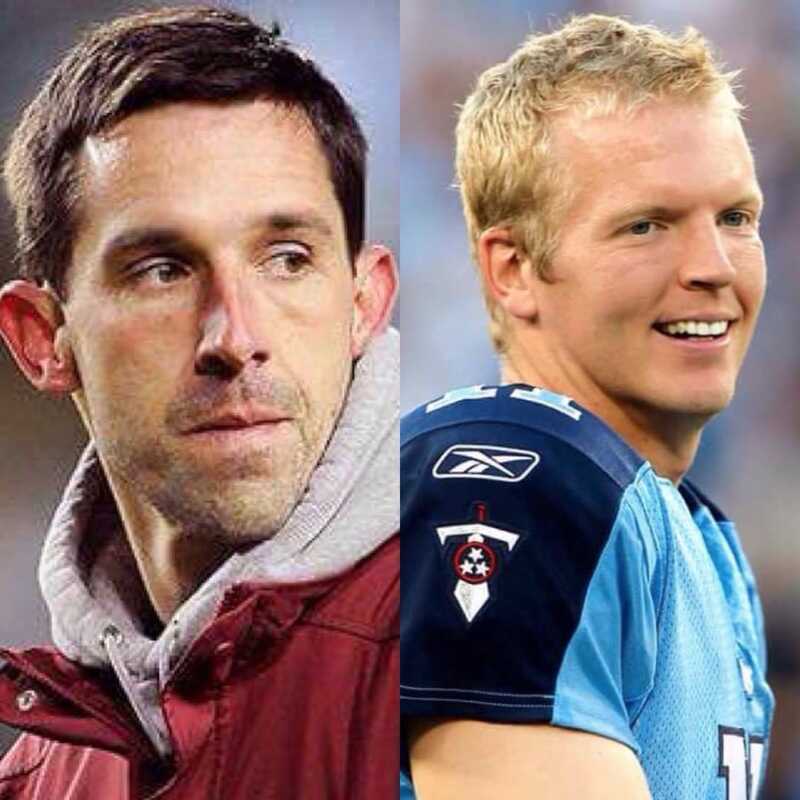 Simms, a former NFL quarterback and Shanahan, an NFL coach, have tattoos dedicated to each other. Wait, what? 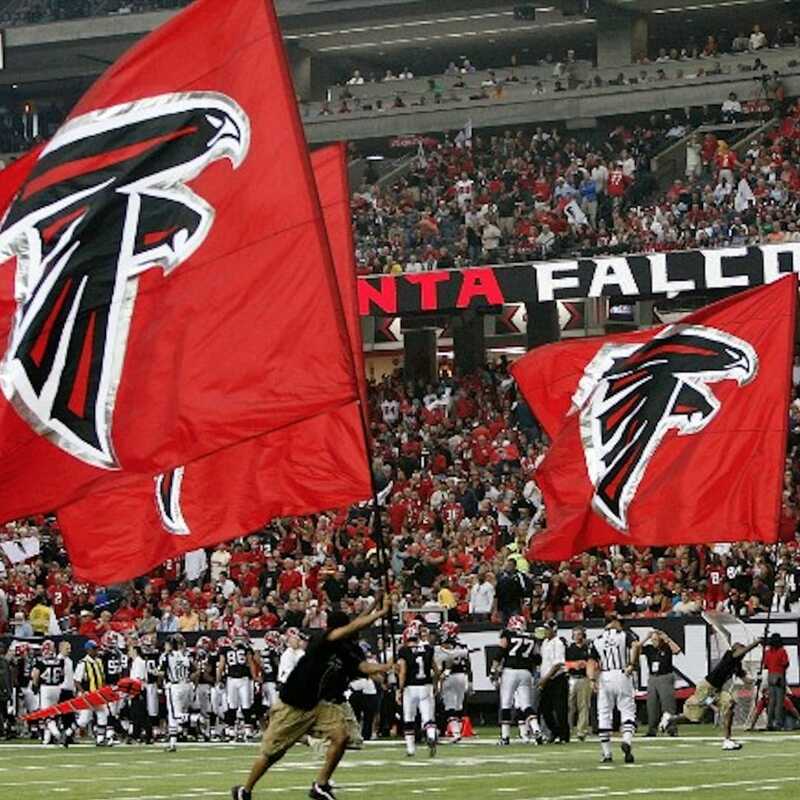 When it comes to sports, superstitions really do matter. 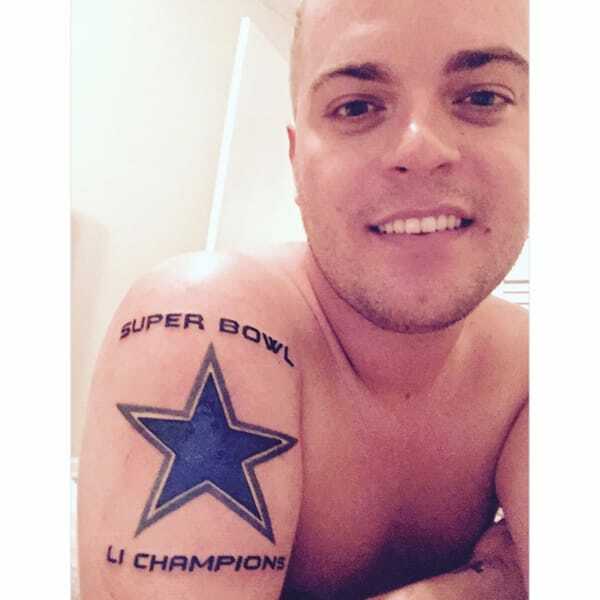 Did this overzealous Cowboys fan doom his beloved team? 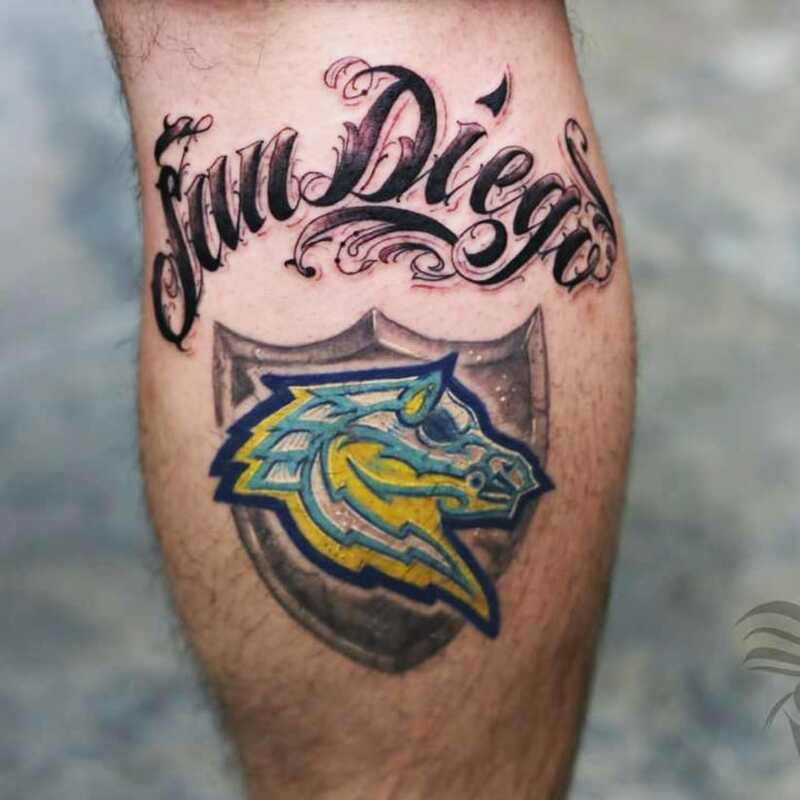 After more the 50 years in the city, the San Diego Chargers are moving to Los Angeles. 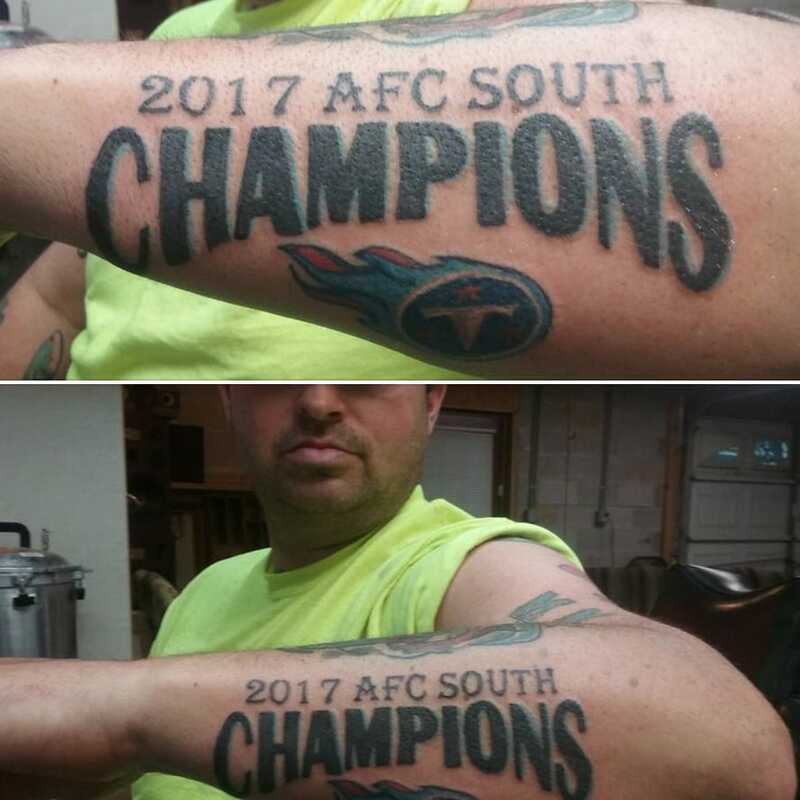 But what about all the people with Chargers tattoos? 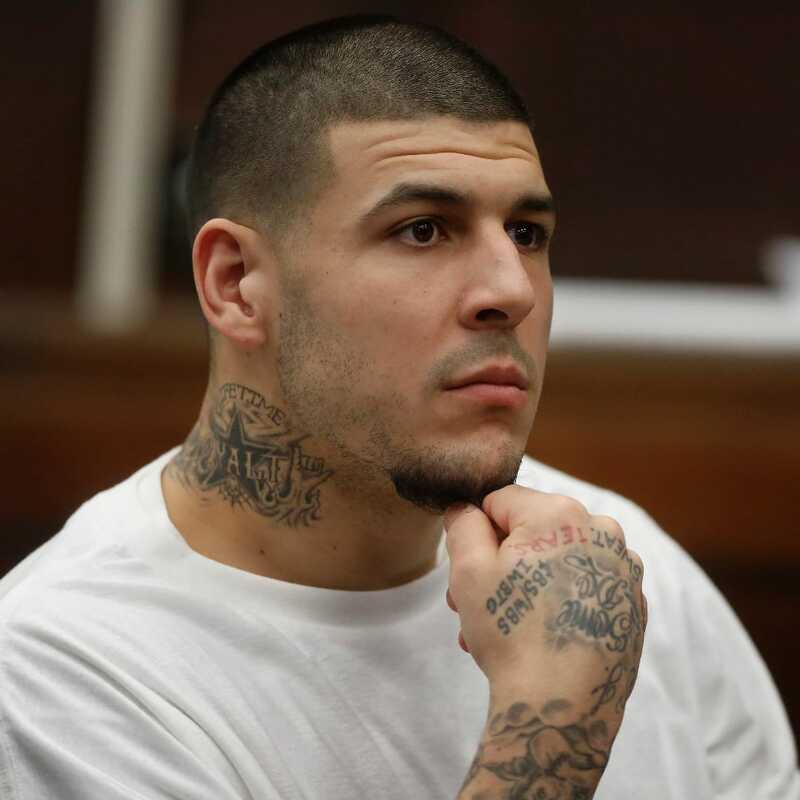 Prosecutors will be able to present two of the former New England Patriot's tattoos as evidence in the double murder trial. 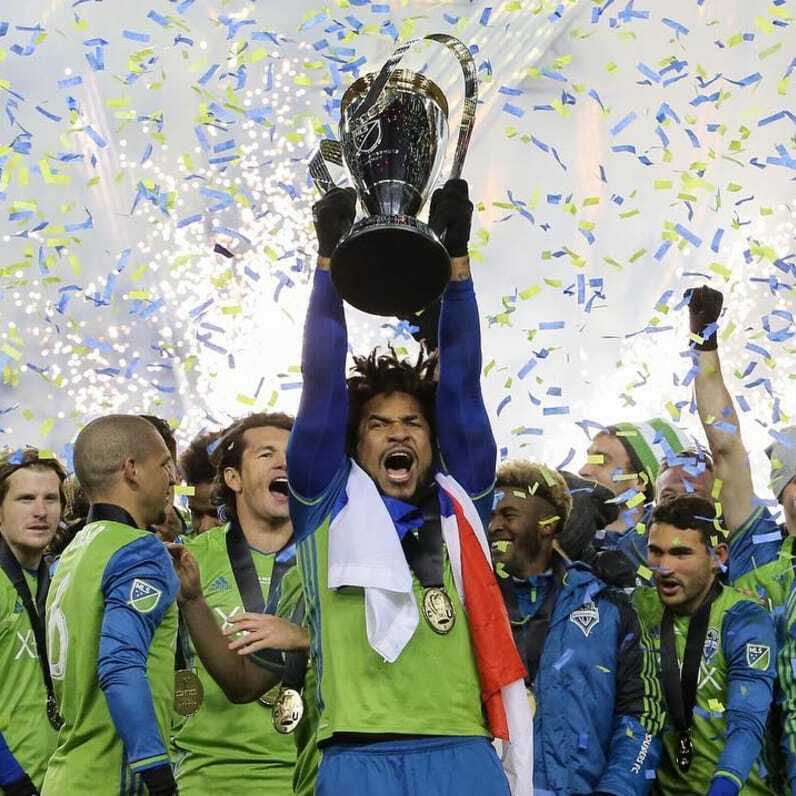 There are plenty of ways to celebrate a championship, but this might be the most unique so far. 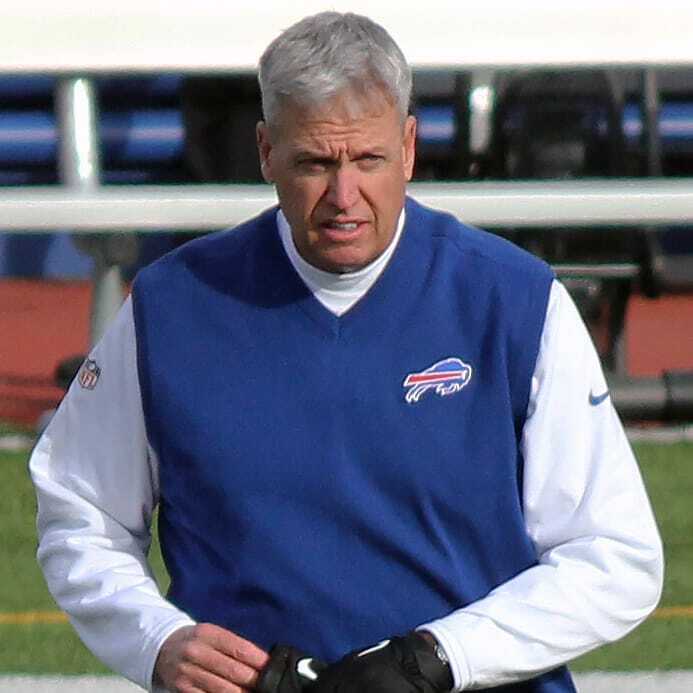 Once the controversial coach finds himself a new job his infamous tattoo will need a new jersey. 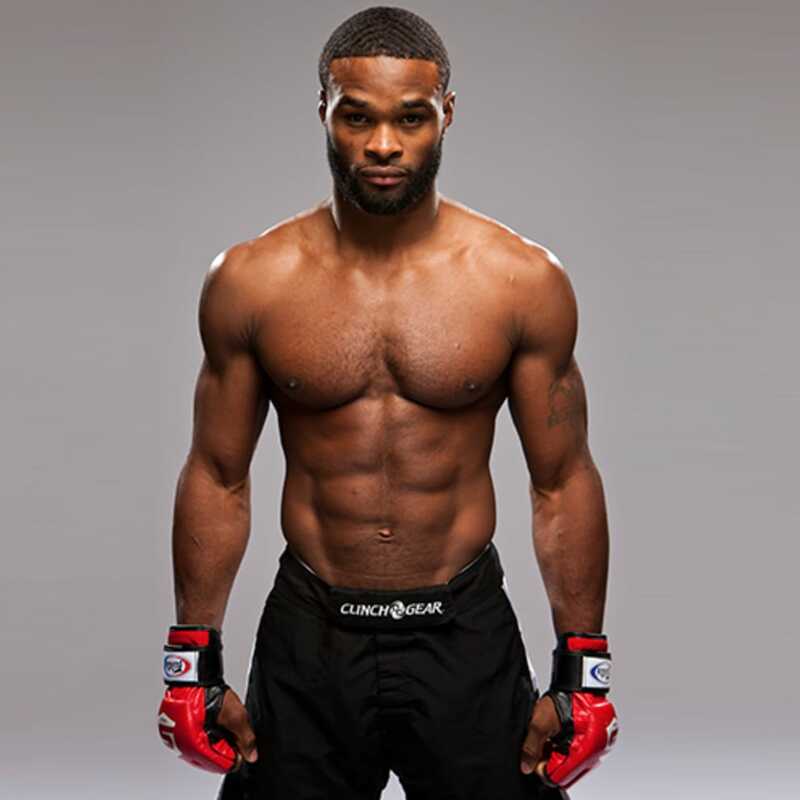 The UFC Welterweight Champ almost got into a scrap with The Notorious One backstage at UFC 205. After losing a friendly bet with teammate Tommy La Stella, the Cubs ace had to get inked up. 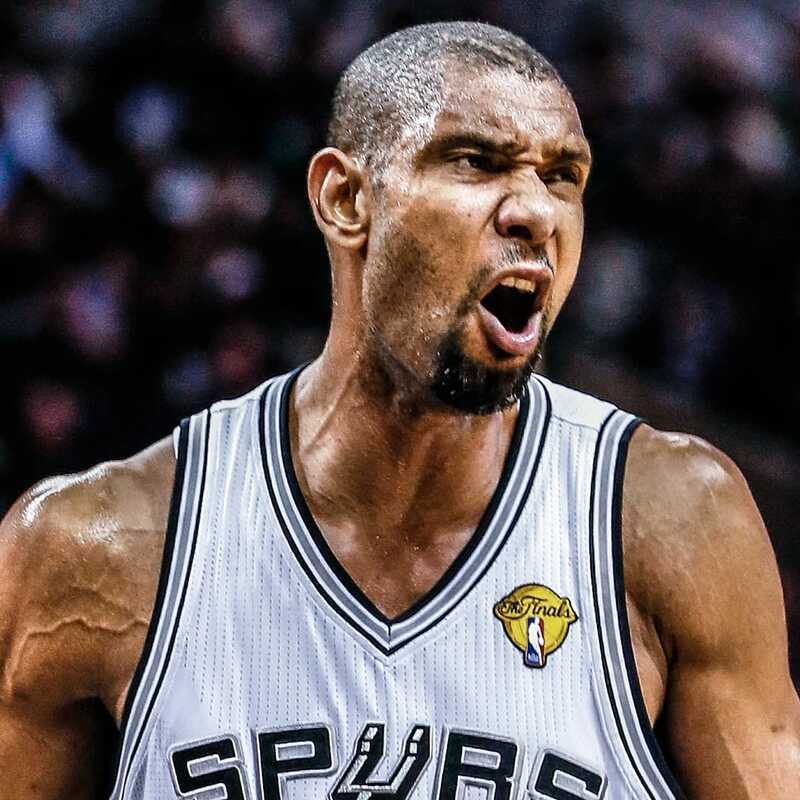 Now that he's retired, the NBA legend has been able to spend some serious time getting tattooed.